Call 919-213-6086 to schedule your first appointment. If you’re experiencing problems such as not being able to follow conversations or not understanding what others are saying, Miracle-Ear® is the right company to call. We offer comprehensive hearing aids in Cary, NC, to meet your individual needs. For more than 70 years, we’ve developed a solid reputation as America's most recognized brand of hearing aids, serving customers at our more than 1300 locations nationwide. We encourage you to discover and experience the Miracle-Ear advantage and see why our products are the most trusted and preferred in the nation. We’re independently owned and operated in the Cary metro area, and we also serve those in Apex and Raleigh. Don’t continue to suffer with hearing loss when our hearing care specialists are here to help. To set up your first appointment, contact our hearing center today. Allyce Dooley is your local Miracle-Ear Hearing Aid Specialist in Cary, NC. 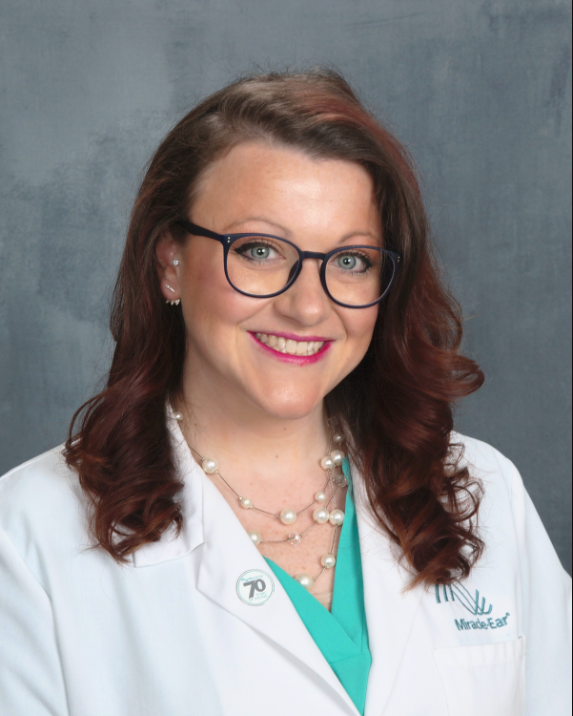 Allyce has been with the Miracle-Ear Team since 2016 and is a NCHALB licensed Hearing Aid Specialist. Allyce has always focused on customer care and satisfaction. Her passion for serving others manifests itself in the care she gives her patients. Being able to help those in my community find the gift of sound is the most rewarding thing I have ever done, Allyce says. I understand that each patient is different therefore, I actively listen to their individual struggles and concerns to create customized solutions. I take pride in my work and do my best to treat every patient as if they were my own family. Originally from Georgia, Allyce and her family have lived in the Raleigh area for over 20 years. Allyce received her Bachelor of Science in 2011 from the University of North Carolina at Charlotte. She is an alumni member of Sigma Kappa Sorority, and the Order of the Engineer. In her downtime, she kayaks with her spouse, enjoys crafting, reading, volunteering and spending time with her family.